Appearances matter, especially during job interviews. The moment you walk in, hiring managers begin the appraisal process. 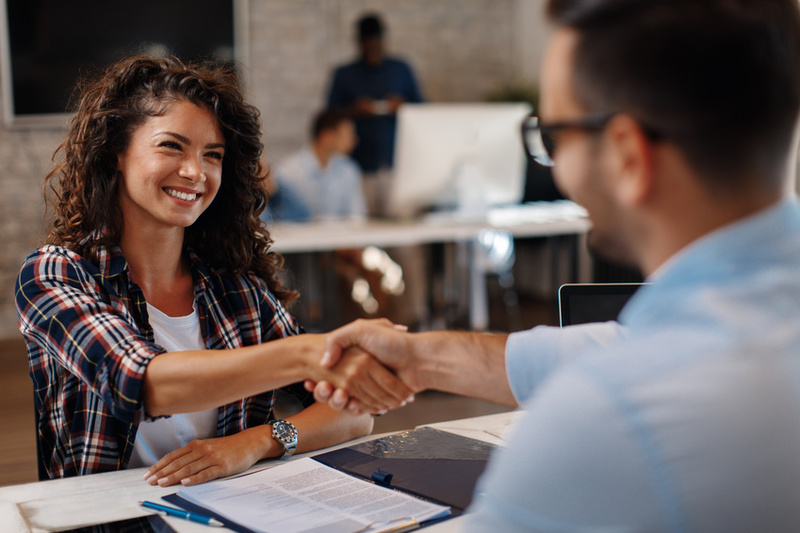 Though you should be hired based on qualifications, hiring managers will also evaluate your body language, outfit, and overall appearance to “feel you out,” testing your character to see if you’ll be a good fit for the company. Though many job candidates spend hours prepping for interview questions or ironing clothes, many neglect to polish other parts of their appearance. Though you may think beauty routines are a waste of time, proper grooming and a few healthy habits can benefit both your appearance and your chances of getting hired. After all, the interviewer will spend much more time looking at your face than at your newly-polished shoes. Few of us are lucky enough to have perfect skin. In fact, 60 million people in the United States have acne. While you can’t always prevent pimples or redness, you can minimize their appearance before your interview. Besides your normal washing routine, try using redness-reducers like aloe for your darkest spots. You could also use an at-home facial kit the night before to moisturize and soothe swelling. For really stubborn red areas, consider using a light coat of concealer to blend away the blemish. Having tidy hair for an interview is non-negotiable. If you have time, get a fresh cut or trim about a week in advance. If there isn’t time to get to a salon, prepare your hair with a wash, a thorough combing, and a simple style. For those with long hair, consider pulling your locks back with a hair tie. With a sleek ponytail or professional braid, your hair will stay out of your face, and you won’t be tempted to fiddle with it during the interview. Avoid the droopy eyes, sallow skin, and slow response time of the chronically sleep-deprived, and get plenty of rest in the days leading up to your interview. Getting your beauty sleep will help you look and feel your best, and it will help you focus during your interview conversation, especially if your interview is scheduled for eight in the morning. Looking your best for an interview and looking your best for a night out are two very different things. Often, the best interview makeup styles employ a less-is-more approach. Try using natural shades of eye shadow and pencil eyeliner to create a soft, simple look. If you’re prone to blushing, consider skipping those pink tones on your cheeks to make your nervous flush less obvious. Finally, don’t wear fake eyelashes or bright lip colors. After all, unless you’re applying for a job in the beauty industry, your experience and qualifications should be the focus of your interview prep, not your makeup skills! If you do nothing else to prepare your appearance for your interview, drink plenty of water. About 75% of Americans are chronically dehydrated, leading to dry skin, headaches, and exhaustion. Drink about eight cups of water a day, and start the day of your interview with a tall cold glass to feel and look your best! No, you can’t always help getting sick, but it’ll look bad nonetheless if you show up to an interview with a drippy nose and rot-breath. In the week before, try to boost your immune system with good sleep, good nutrition, and maybe some vitamin C supplements. Avoid a nervous upset stomach the morning of the interview with a dose of bismuth. You can also protect your stomach by tossing those leftovers in the fridge– since contaminated foods sicken one in six Americans every year, it’s better to be safe than sorry. Finally, if you’re one of the 5-10% of Americans who are allergic to pet dander, or one of the 50 million allergic to pollen, don’t forget your allergy medications to avoid turning your interview into a sniffly mess. Grooming for an interview takes a combination of healthy habits and tastefully managing your appearance. Follow these steps to look bright-eyed, bushy-tailed, and super professional. How could they not hire someone as polished and full of vitality as you? An interviewer has decided within the first 15 seconds of meeting you whether or not you are right for the role. So looking polished and well put together is going to work to your advantage when it comes to getting hired. Those who put in less effort are more likely to be swiftly put to one side.